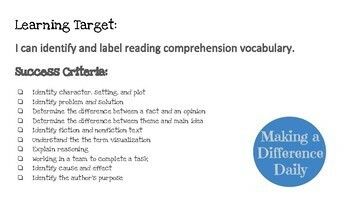 The purpose of this engaging activity is to review previously taught comprehension vocabulary. 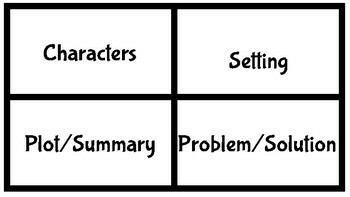 This is an excellent activity to use to conclude or review a fictional unit. It could also be used for state testing prep. The class is split into two teams. 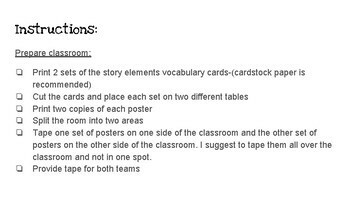 Their goal is to use the story element vocabulary cards to label the posters that are placed around the room. The students have to work as a team and explain their reasoning. 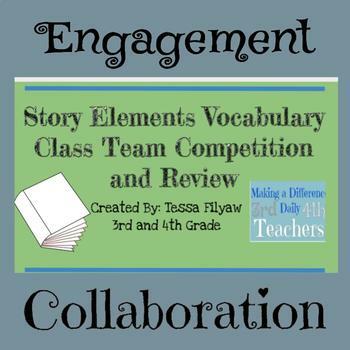 The 19 story element skills reviewed in this activity include: character, setting, plot, problem/solution, fact, opinion, character traits, inference, theme, main idea, author’s purpose, compare and contrast, moral of the story, fiction, nonfiction, sequence of events, visualization, questioning, and cause/effect.